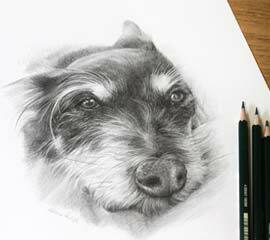 Welcome to my pencil pet portraits website! 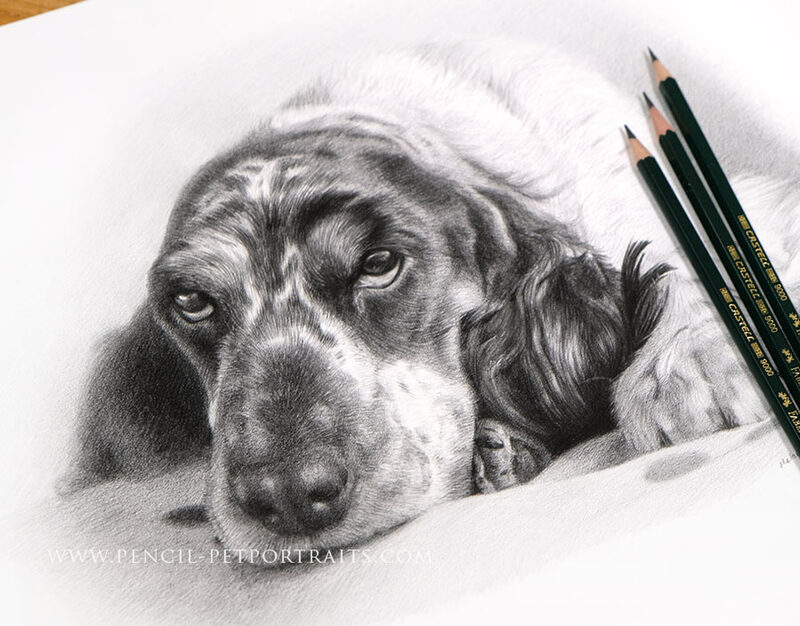 My name is Melanie and I am a professionally trained pencil pet portrait artist with 22 years of experiance accepting commissions from client worldwide. 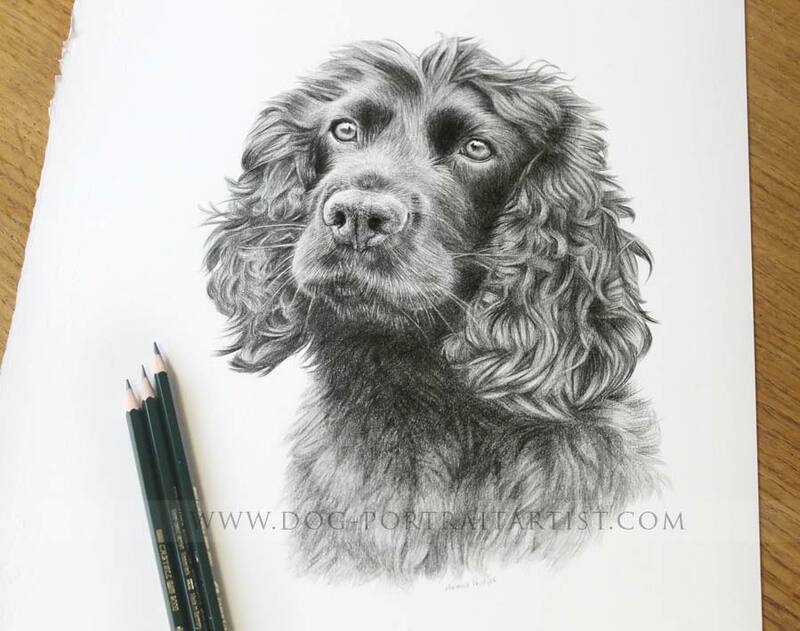 I create pet portraits from your photos of dogs, cats and horses in pencil. 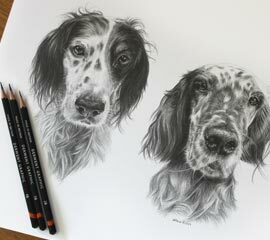 If you are looking to commission a hand drawn pencil portrait, you have come to the right place. 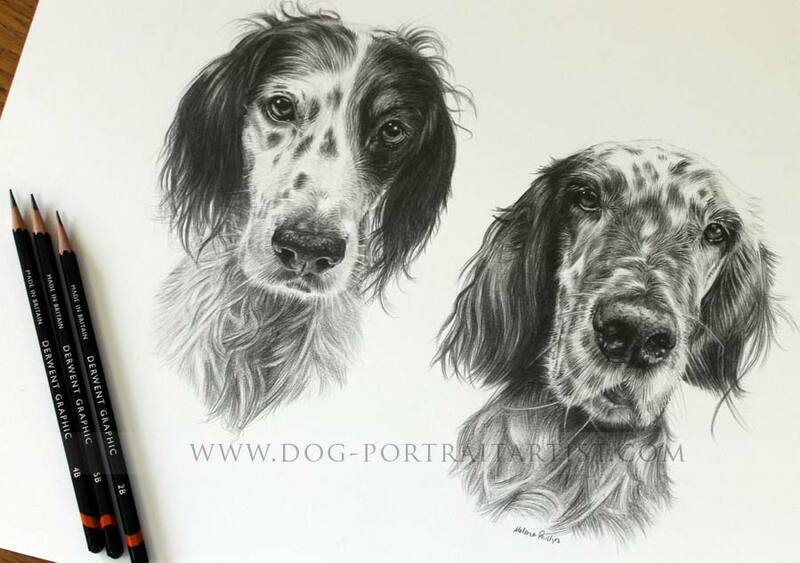 Why not view my pencil portraits gallery to see previous commissions, read testimonials and see photos clients have taken of the portraits in their homes. 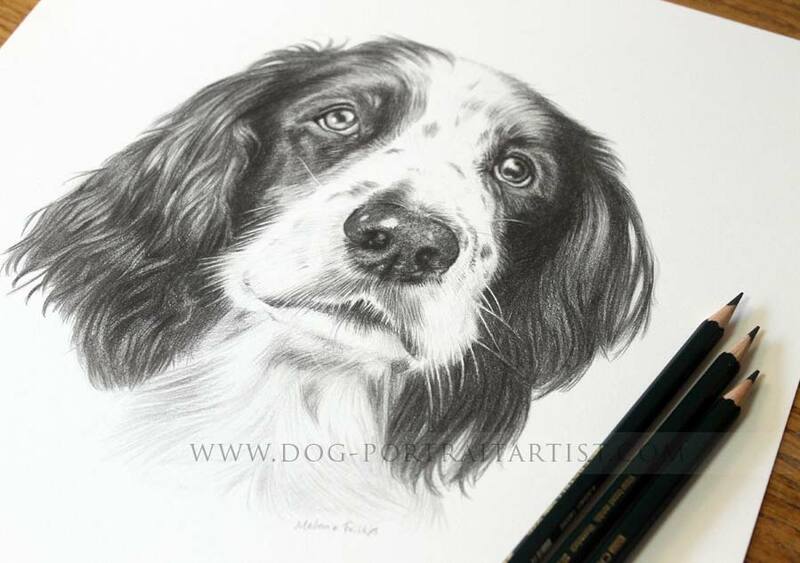 View my prices & sizes page and if you need any help, please email me at any time. I'm really looking forward to seeing your photos soon! 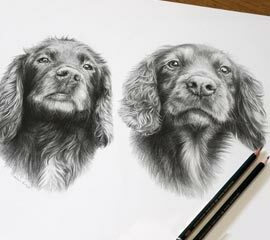 For a detailed description of how my custom pencil portraits works, pop over to my Commissioning Process page. 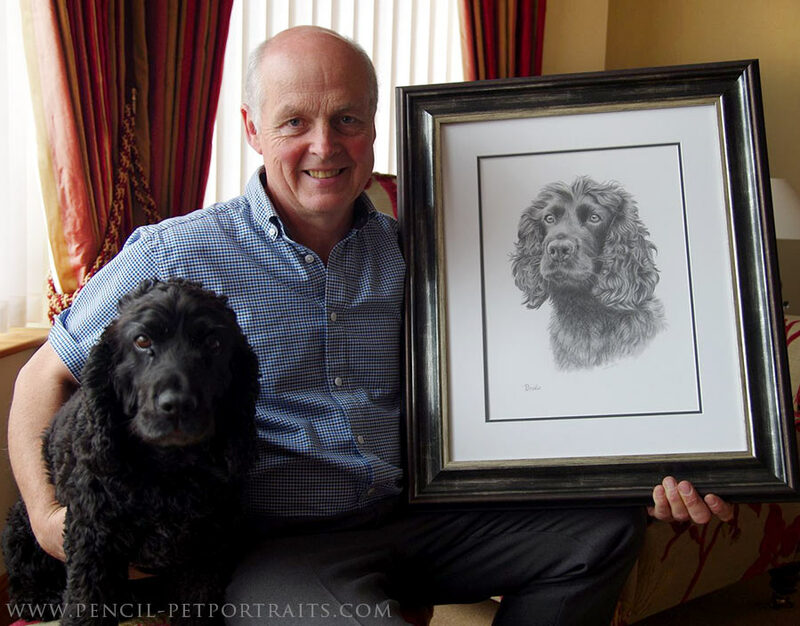 It describes my pencil portraits commission process from the initial contact with my client, through to the handmade bespoke framing and packing of my pet portraits. It hopefully gives my prospective clients an idea of how everything works. 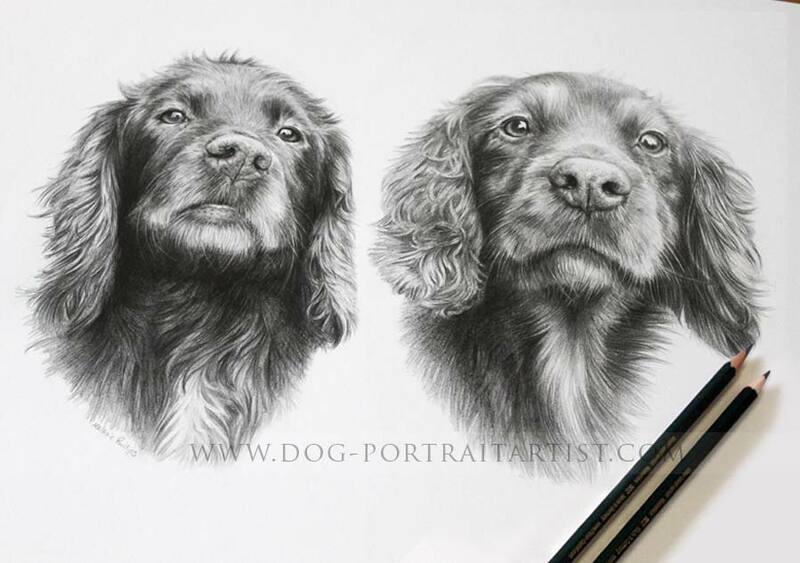 The page is set out with lots of lovely photos of my portraits to view. 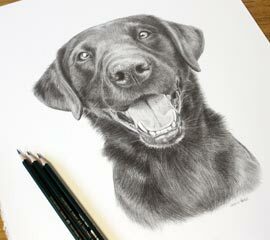 Also visit my pencil pet portrait prices page to see how much your pencil portrait will cost. 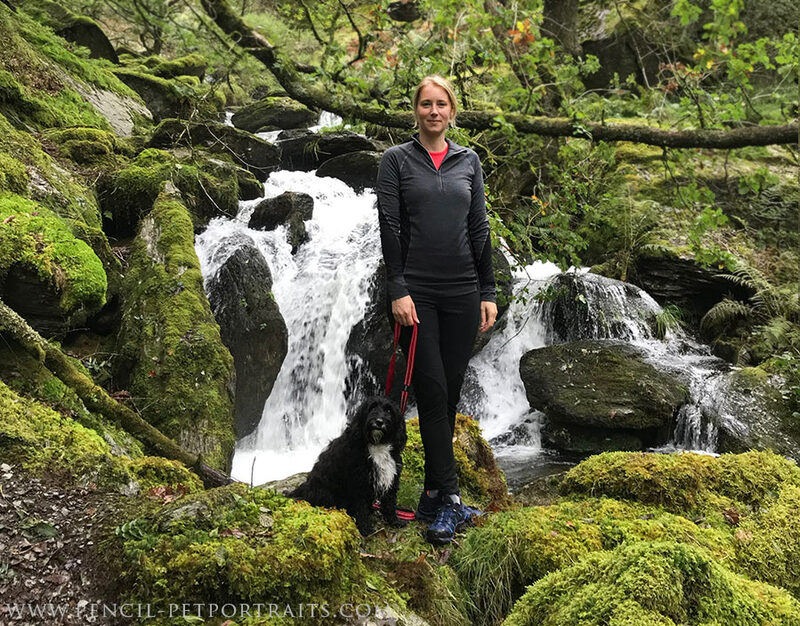 When you are ready you are more than welcome to Email me a range of photos of your pet and we can chat about your requirements. 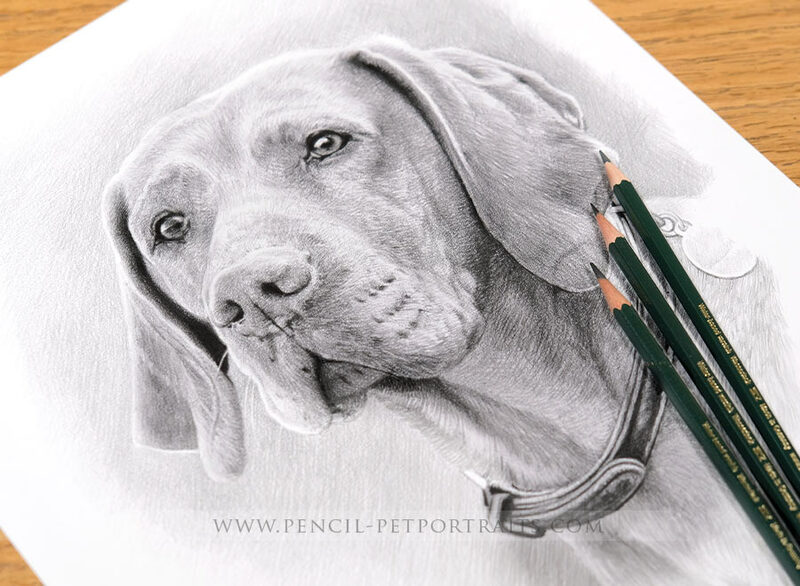 If you would like a quick overview of my work before heading to my main pencil pet portraits gallery, here is a quick view gallery below. 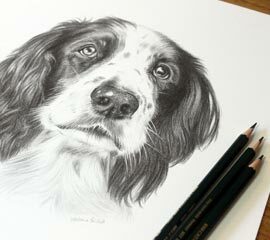 I create pencil drawings of pets, framed with bespoke engraved plaques. 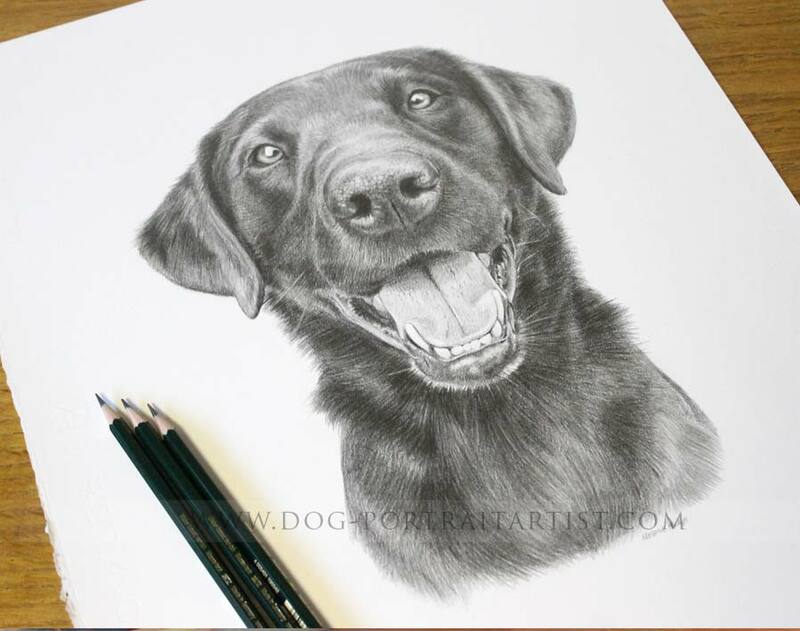 I hope that you enjoy viewing my artwork and that it makes you smile! I look forward to working with you on your portrait soon. 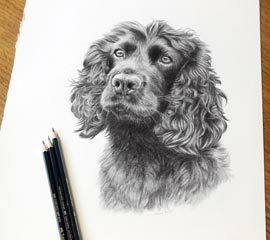 I picked up my pencil portrait today and I have to tell you it is ABSOLUTELY STUNNING!!!! You have captured her spirit beautifully and the kindness she had in her soul shone through those big brown eyes. You are IMMENSELY talented portrait artist, I cannot thank you enough. I was quite emotional opening it but they were happy tears, it almost felt as though she was back with me, words cannot express my gratitude. 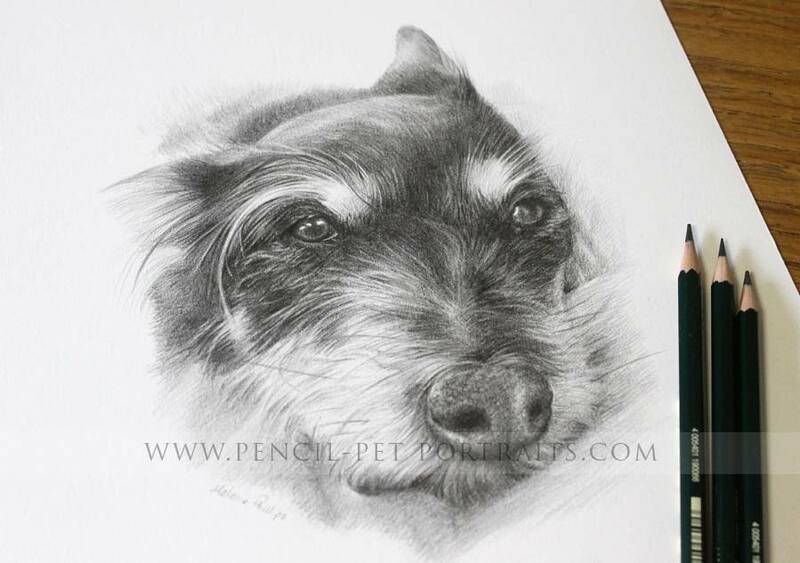 I am delighted that Teasel appears on your website too, HUGE SMILE, she had that endearing scruffy look about her. Through you we have the most BEAUTIFUL tribute of our very very special little lady. It will take pride of place in our lounge.